If you’re a family that travels, then chances are that you know how important it is to keep your kids safe. Road trips, extended traveling periods, and any time spent in a car need to be done so safely. 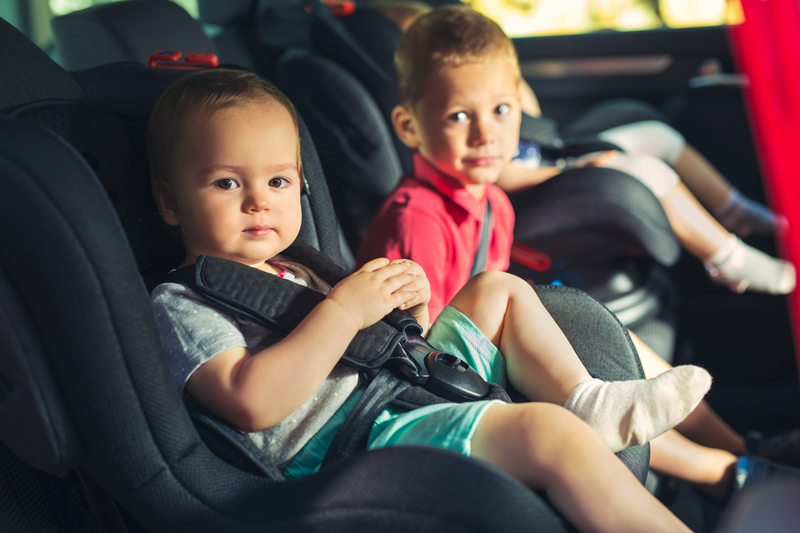 Accidents can happen every day, and if your kid isn’t properly restrained, it can have serious repercussions, including death. Here are four travel tips for driving with kids. The most significant key point of safety is making sure that kids are properly restrained. All small children should be kept inside of a car seat that is rear-facing until they reach the height or weight restrictions. Once they’re old enough, they can be moved to a booster seat. It’s important that families do their research to find the proper restraints that are safe and comfortable for the children. When a child outgrows a car seat, they move to the booster seat stage. These aren’t always the safest. Luckily, there are alternatives to booster seats for older kids. Parents can use straps that help a child’s seat belt to move when they move. There are also vests which help to clip the seat belt in safe. Foam is also another way that can absorb the impact of a crash. All of these help the child to stay comfortable and secure, especially on long car rides. It also gives parents peace of mind to know that their child is safe. It’s essential that kids are comfortable when they’re in the car. If they’re not, they could do something that compromises their safety. If a strap is too tight or a clip is poking them, they may take matters into their own hands. Loosening a strap or disconnecting something is dangerous for kids. That’s why parents need to make sure they’re comfortable when driving with kids. There have also been incidents of children wearing sweaters or blankets to make the straps more comfortable. This is dangerous in case there is ever an accident because then the straps aren’t directly against their chest like they should be. Finally, parents need to have rules for the road to keep their kids safe when traveling. They can ensure proper safety, but if a kid isn’t listening, it will all be for nothing. When driving with kids, They need to learn that these seats are designed to keep them safe and are not to be fiddled with. Parents need to also set rules on long road trips regarding stops made, noise levels in the car, and more. Additionally, you can establish fun games and rules to help make your trip lighthearted and fun for everyone. Make sure that you are paying attention to the road. It is a difficult task to travel with children. There is always the need to keep the children happy, fed, and safe. Just remember that distracted driving can lead to car accidents and car accidents can lead to serious injuries. Essentially, whether you’re driving with kids to the grocery store or going on a family road trip, safety is essential. Be sure to pay attention to your own car safety habits, as you’ll be serving as an example for your children. For more tips on road trip safety, check out our blog! If you’re planning a road trip soon, make sure to check our competitive rates for car rentals worldwide. Enter your details below, compare, choose and book! WHAT IS NEEDED TO RENT A CAR? CAR RENTAL COST-CUTTING SECRETS REVEALED!